I've heard that with LuaTeX, you can embed Lua code in your document that work directly with TeX internals, making it possible to do several things that are hard to do with macros. What is a good specific example of stuff that you can accomplish easily with LuaTeX? Here's an example of something I'm doing. I'm writing a document which has a lot of sections. At the end of each section is a score, made of 3 numbers. The first number is on a scale of 0-10, and the second two are 0-3. Also the scale of the first is inverted, meaning that 1 is the biggest and 10 is the smallest, but 0 should still be 0. This code outputs each score and the average score it calculates. I'm also dumping these scores to a file (using lua), reading them in later (again with lua), and using pgfplots to create a chart of some things. There may be a much better way to do this, but I'm not willing to spend the rest of my life learning how to do a few calculations. Programming in TeX is quite complicated as it was never meant to be a general programming language (despite being Turing complete). Adding Lua makes a lot of programming jobs much easier. At the same time, the LuaTeX people are exposing the internals of TeX so they can be altered by Lua. This makes lots of clever stuff possible. Some of the best examples at the moment can be seen on the ConTeXt wiki, as ConTeXt and LuaTeX are very closely linked. This will write to hyphens-\jobname.txt a dump of all the characters that luatex has been asked to add hyphenation points to from this point on in the source, with the output of each callback call on a single line. Although you cannot use this to generate Epub (mostly because macros like \TeX create two lines of output, once 'E' only for the lowered hbox and once 'TEX' for the actual macro use) the output is still useful because you can check to make sure there are no potential bad breaks allowed by the hyphenation patterns you are using. 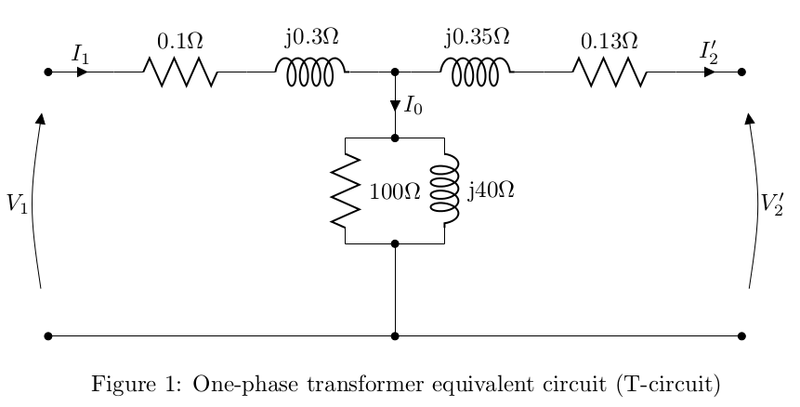 LuaLaTeX and circuitikz example: A one-phase transformer approximately equivalent circuit (T-cicuit). Give the equivalent circuit parameters manually in the code. Check out those examples. Even if "normal" users might see no need for a general purpose language in LaTeX they will benefit from packages using Lua scripts internally. Not the answer you're looking for? Browse other questions tagged luatex lua or ask your own question. How use command \pdfextension in luacode enviroment of package luacode?